I owned this one in 1960-2, it was my first car. My father had also owned it about 5 years earlier. This was a brilliant motor in almost every respect apart from the brakes which were awful - they were operated by open cables and on the front, as they began to bite, the suspension would move back slightly and so let them off again. (they were fantastic going backwards!) It was impossible to get them to work well and in emergency the car would always spin round and go backwards as only the offside rear brake worked properly. 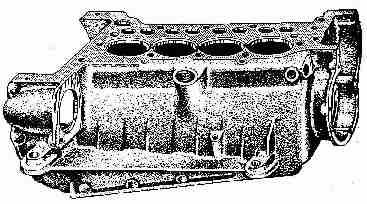 The tiny engine was lubricated by 2 jets which squirted oil at small troughs in the crankshaft as the webs came past and some oil would find its way to the big ends, the resultant spray in the crankcase lubricated everything else. Normal oil pressure was about 10 psi and if it increased you had a blocked jet. The jets were accessible on the side of the crankcase - brass plugs were unscrewed and a piece of wire poked through to clear them. The rear main ball bearing would allow oil through onto the clutch causing slip but there was access through the floor to squirt solvent onto the linings to clean them and then you parked against a wall and with plenty of revs in gear let the clutch burn off any remaining contamination until the engine stalled. This car had really good traction in mud or snow and was virtually impossible to bog down, this was due to skinny tyres, big wheels (17", 18" or 19" were available) and a very torquey long stroke engine with a big flywheel. It would pull away on tickover on a steep hill and would run in top gear at tickover without any driveline shunt. I drove all over southern England in this motor and had tremendous fun with it at a time when there was very little traffic compared to today. One of our memorable trips was in 1961 when I and a friend drove from south London to Lands End and back following the road all round the coast line camping at 15 different places with the car loaded with gear - a distance of about 1,000 miles with no problems having refitted the rebuilt engine on the morning we started! 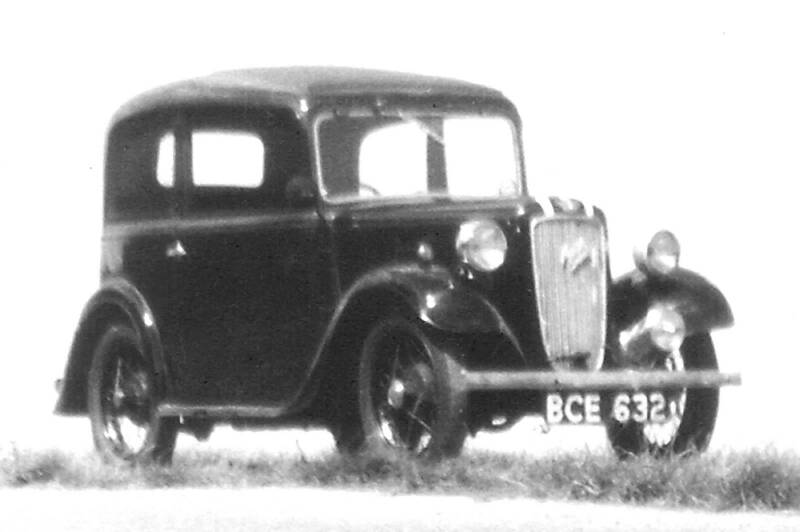 In the end I broke the crankshaft shortly after towing a 1939 Standard 16 up a steep hill. This time the car was sold for parts. 4 cyl. 747cc. Sidevalve engine. 13bhp.